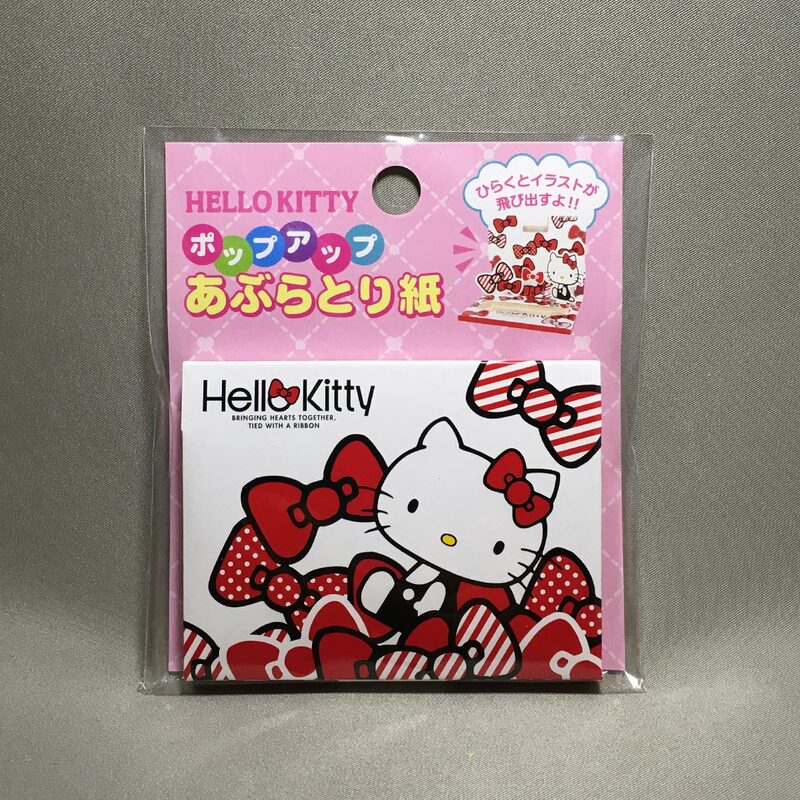 Just like the Cinnamoroll Oil Blotting Paper, this compact sized pack of 50 thin, absorbent oil blotting paper can remove surface oil from your face. 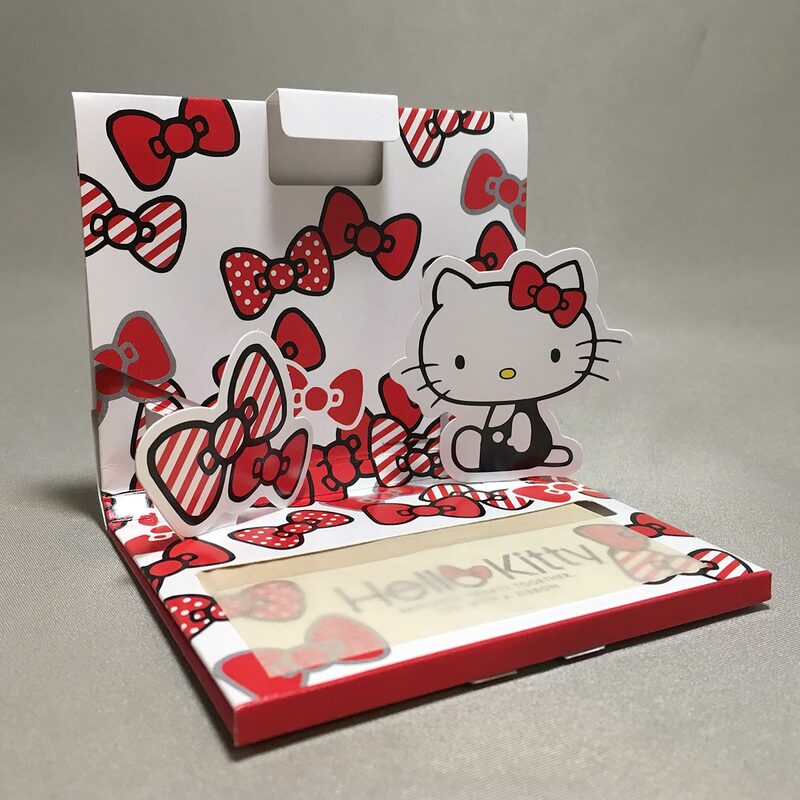 The paper carrying case has a cute illustration of the Sanrio character Hello Kitty and her many red ribbons. 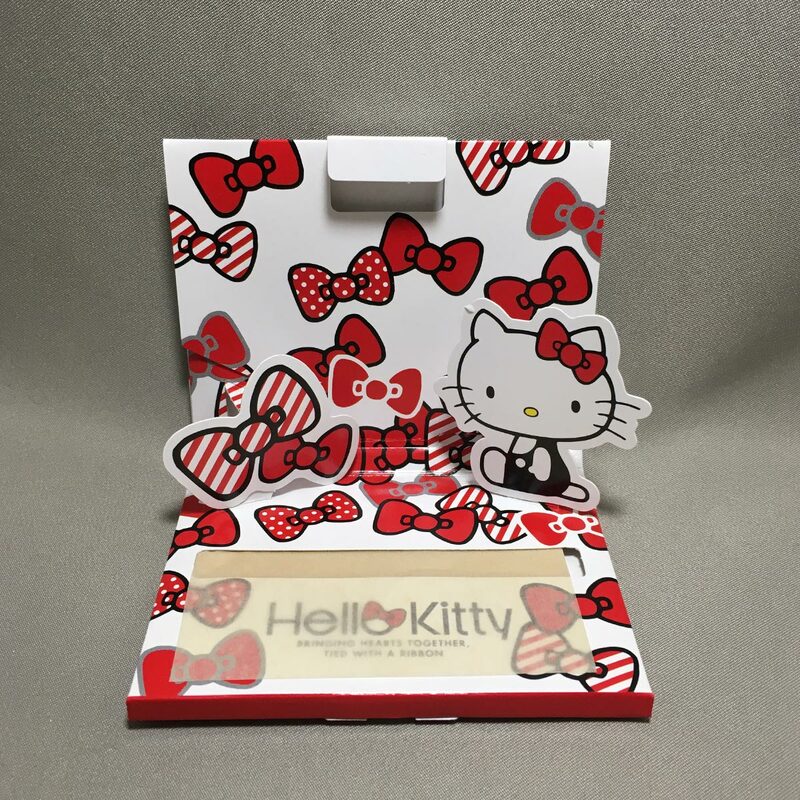 When the paper case is opened, a cute Hello Kitty pops up! 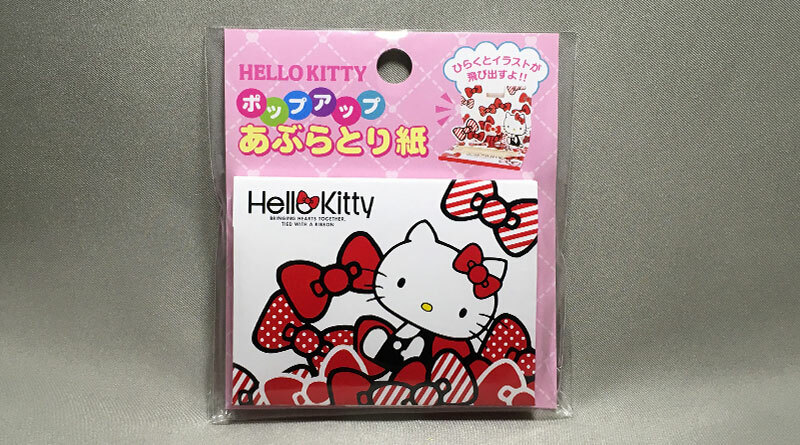 The Hello Kitty Oil Blotting Paper is a licensed product from Sanrio (Sanrio seal on the back packaging). – Rubbing too hard may cause skin irritation. – Do not use on cuts or eczema-affected skin. 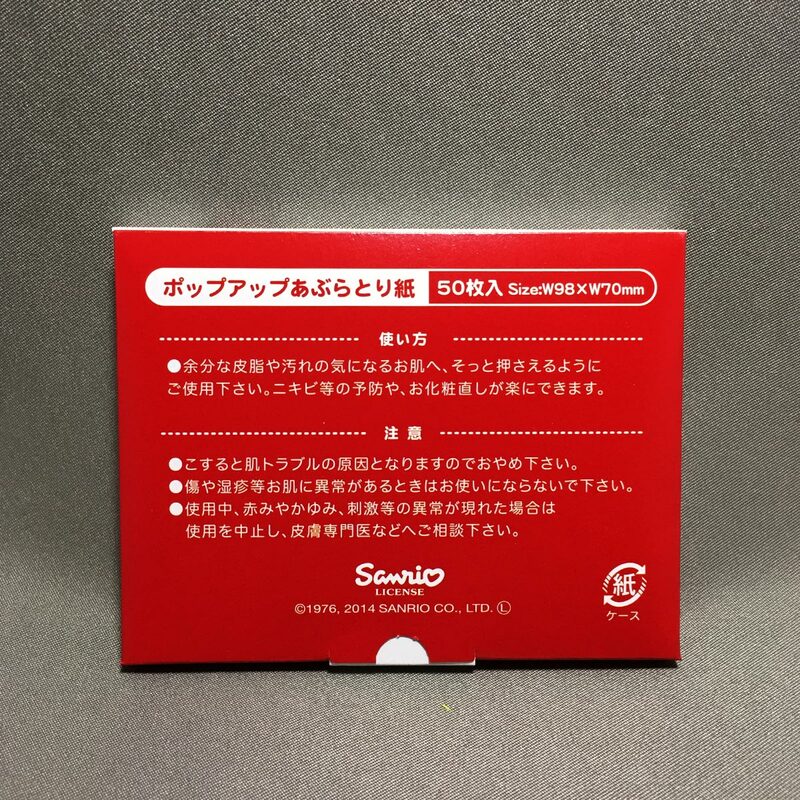 – Discontinue use if rash, redness, or itching occur. Consult your physician if irritation persists. 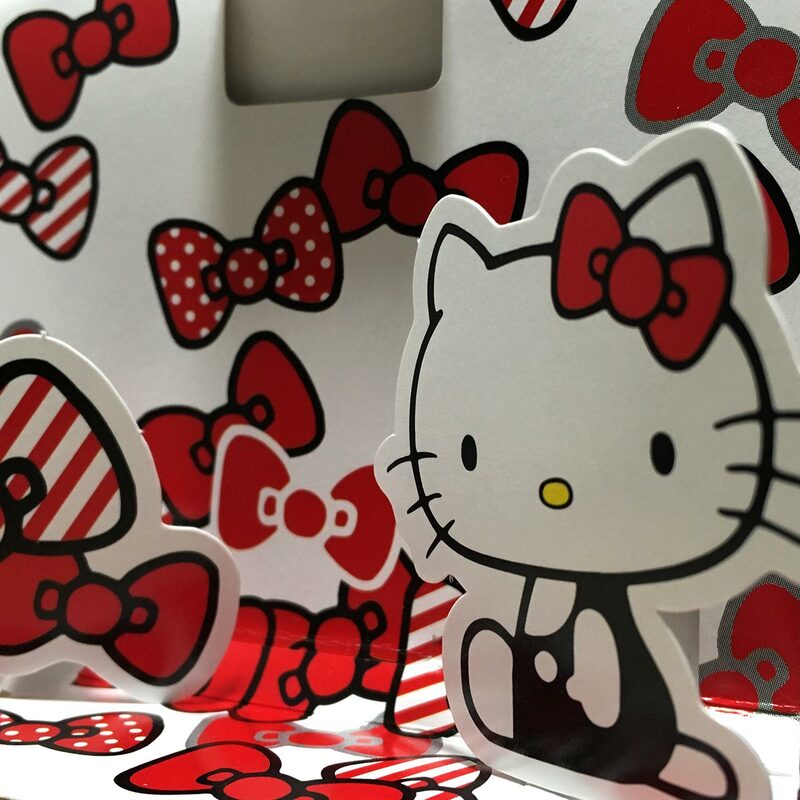 Hello Kitty is taking over the world! 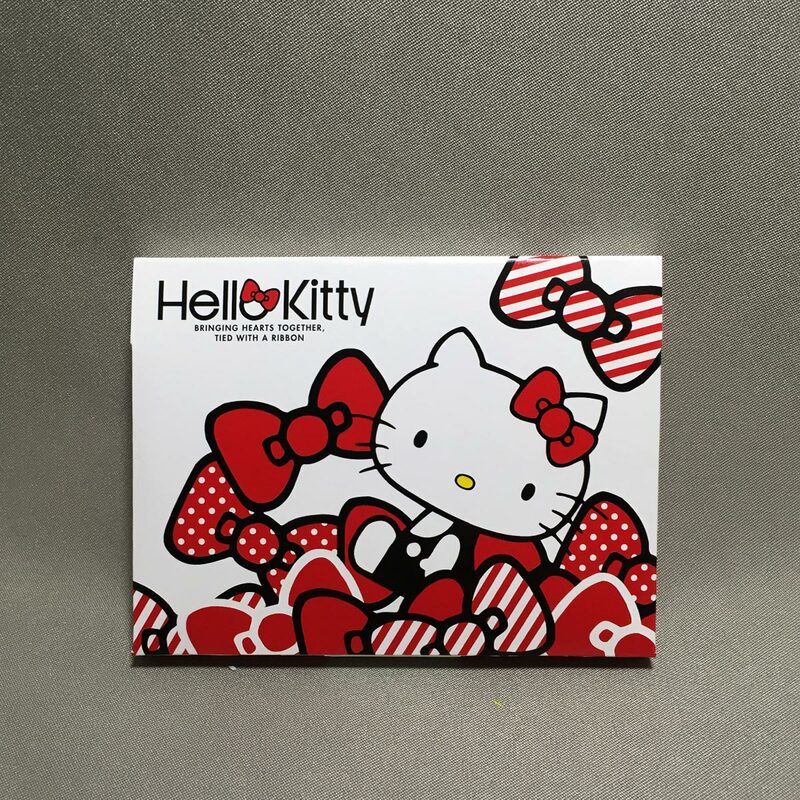 I have to say, the packaging and the colors used is well designed, and I actually prefer this over the Cinnamoroll Oil Blotting Paper. 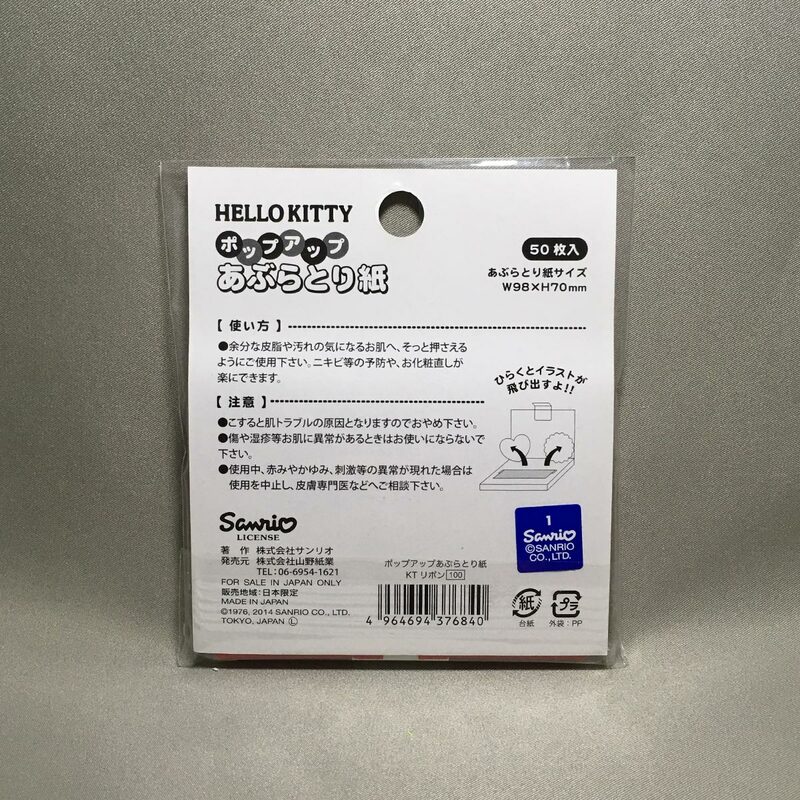 It certainly does not feel like a 100 yen product just from looking at the paper case. Good work to the designers! I did try a sheet on my face, and it did do the job. The real test is during the hot summers. Should I carry this with me? what do you think?